The weather is warming up and here on Chic Inspector it's always better to be prepared for Spring then not to. 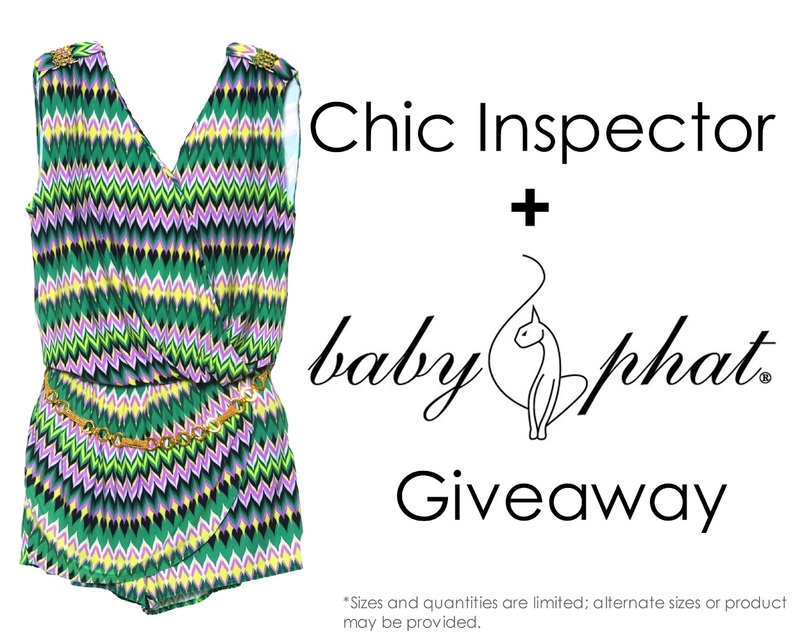 Chic Inspector and Baby Phat is giving one lucky reader the Zig Zag Wrap Romper. It's super duper easy to enter. 3. Like Baby Phat on Facebook. 4. and while you're at it Like Chic Inspector on Facebook too.